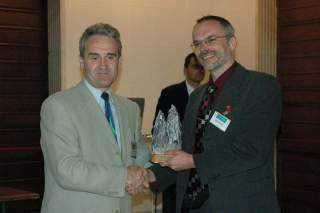 Cervenka Consulting wins a prize in the competition "Predicting the Response of RC Slabs to Transverse Shear" http://www.fib-international.org/news/, organized by IBK, ETH Zurich. The winner is Prof. Kollegger from the Vienna University of Technology, who has used a semi-analytical method. 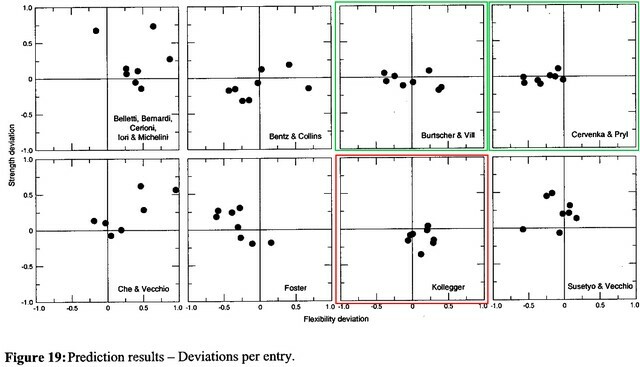 His results are marked with a red frame in the figure presenting the deviations of the submitted results. There are two entries computed using ATENA (green frames), one from Cervenka Consulting in Prague (Cervenka & Pryl) and one from the Vienna University of Technology (Burtscher & Vill).